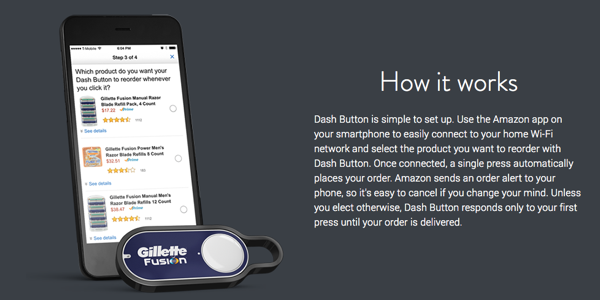 Amazon is taking its one-click ordering system to greater heights with the introduction of Dash Button, which also happens to be a follow up to last year’s ‘Dash’ – a remote scanning device. Head over for more information on how Amazon is gearing up to target regular grocery shoppers by offering an intuitive way of ordering products. When Amazon Dash was released, it allowed users to make a purchase by simply scanning the product or speaking its name into the built-in microphone. However Dash Button is taking a slightly different approach by skipping all those inputs involved, where every contraption is tailored for a specific product, and all you have to do is hit the button on it. 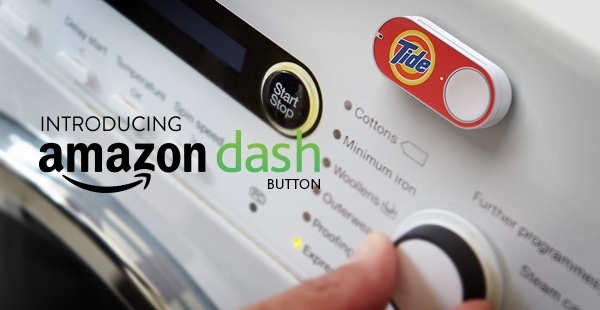 With grocery shopping being a weekly, or monthly, phenomena in most households, Amazon is trying to tap into that moment where people run out of the needed products, and instead of having to go out to buy those groceries all at once, Dash Button will allow you to order the items you run out of, right there and then with the press of a button. 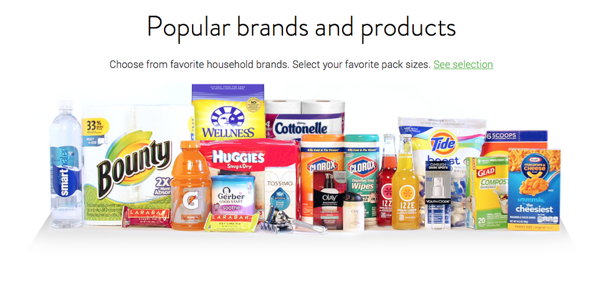 According to Amazon, it has stocked up on the more popular household brands across the U.S. so that customers don’t find themselves short of a choice. Once the order is placed, the Amazon app will notify you on your phone to confirm it. Available to Amazon Prime users only, and for free, the buttons are tiny enough to be stuck anywhere on a wall, table, coffee maker, washing machine etc. with the reusable adhesive tape at the back, or can be hung with a hook as well. Other than Prime Users, Amazon is also offering the Dash service to product makers too, and will expand to more manufacturers in the future. 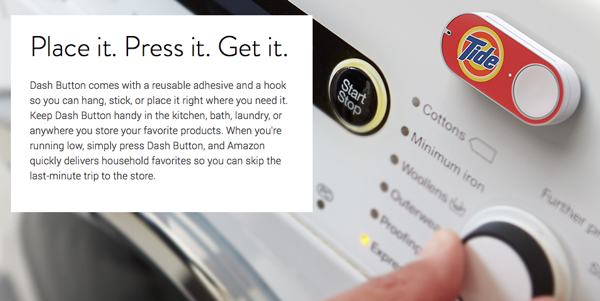 Amazon will launch only 18 buttons to start off with and includes stuff such as baby food, coffee and paper towels. In the early roll-out of Dash Buttons, the online retail giant will be sending a maximum of three buttons to Prime users which is further limited to an invite only for now. Amazon expects to send in the buttons to users this Tuesday. As for the battery, it should last for years which is more than enough for such a handy contraption. What’s stopping kids from pressing the button multiple times and waking up to 25 bottles of Tide and an expensive bill? It was in the graphic which is why I missed it. Why the need for this button if you have to use your phone anyway? They’re trying to hard. Women tend to not have pockets big enough for their phones. This keeps them from having to wait until they get to their phone and possibly forgetting, or having to stop what they’re doing to go to their phone to order the product. It also saves you from having to open the app, search for the product and then order it. Instead you push the button and hit confirm the next time you use your phone.